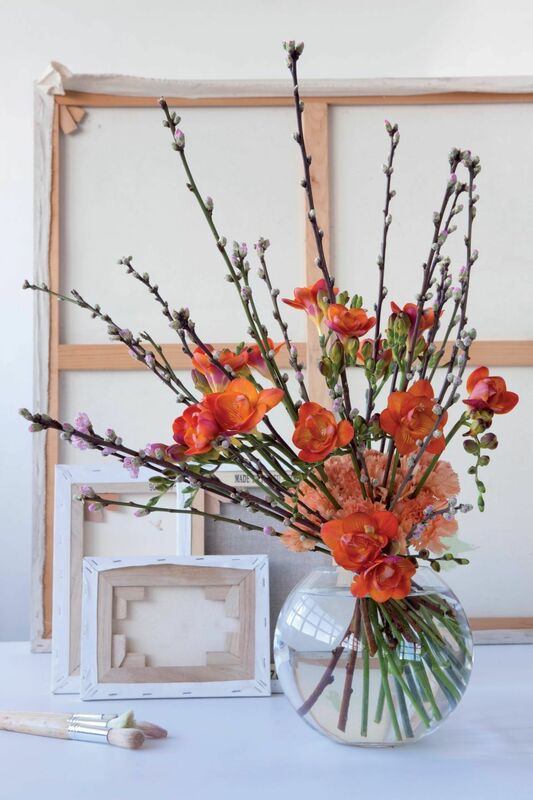 Our skilled team creates floral displays that complement existing décor and add ambience, interest and warmth. 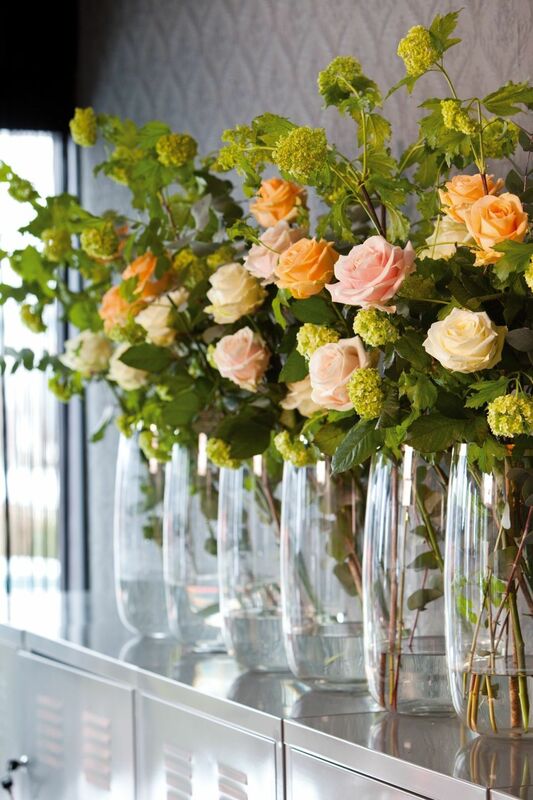 Tabletop posies are designed using varieties that won’t impact on the flavour or aroma of food; structural arrangements add a dramatic focal point and a pop of seasonal colour. 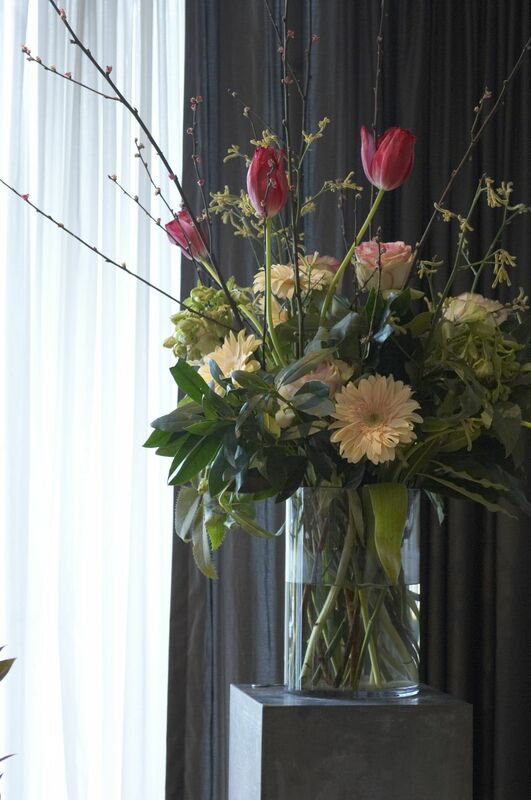 We also supply flowers for one-off events and special occasions and can deliver luxury, hand-tied bouquets for guests and staff, often within a few hours of ordering. Book a consultation or call us on 020 8944 0942 to arrange a site visit. 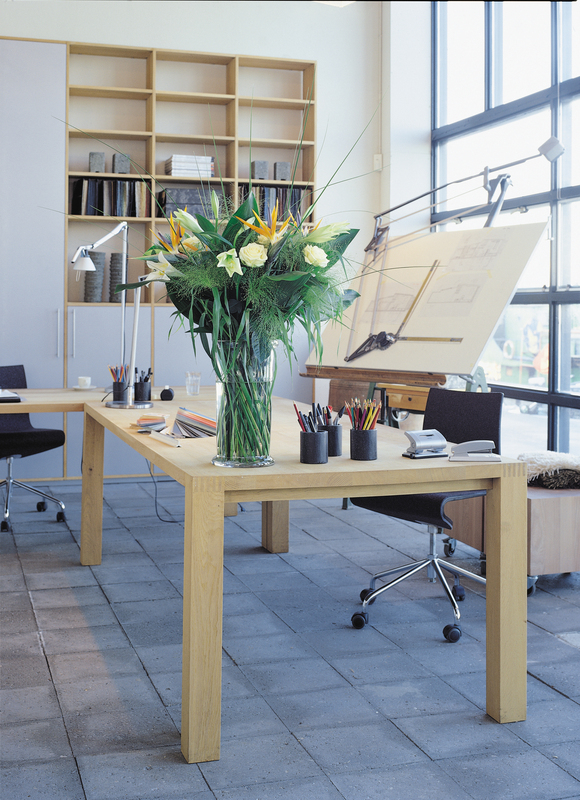 Looking for a regular floristry service to enhance or transform your space? Gardenia provides long-term contract flowers for restaurants, bars, hotels, offices, shops, event venues and private homes across South West London. From perfectly petite jam jar posies to jaw-dropping lobby displays, every arrangement and planter is designed, installed and maintained by a Gardenia florist to your specifications. Book a consultation to discuss your requirements or call us on 020 8944 0942 to arrange a site visit. We start with a detailed consultation or site visit. This essential step helps our florists to fully understand your brief before they set to work designing displays that perfectly fit your environment. Our modern supply chain gives us access to the largest growers' network in Holland. Buying direct means that we can trace each and every stem back to the soil it was grown in to guarantee quality and longevity. 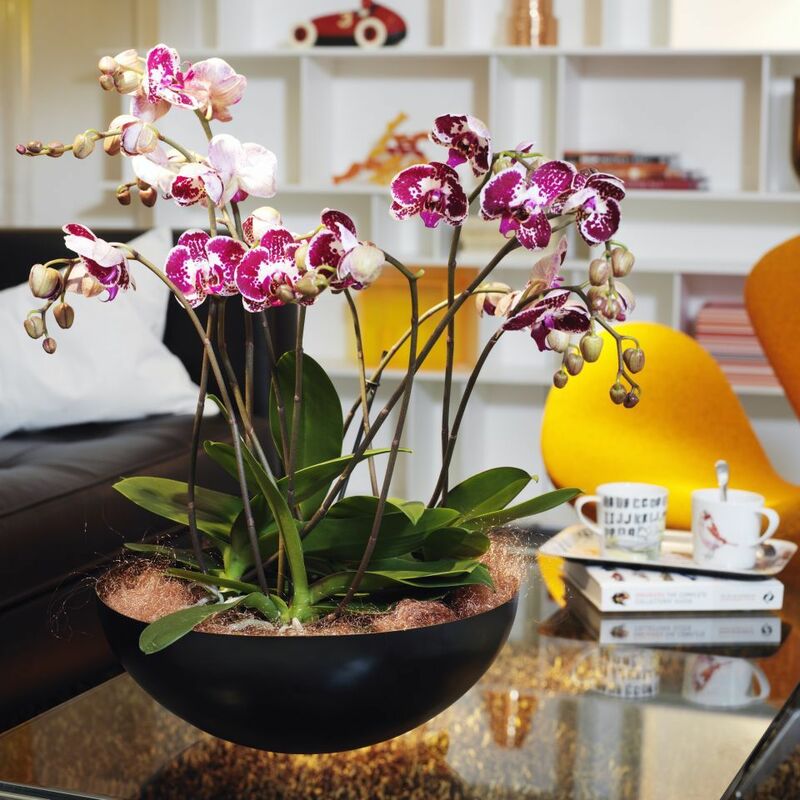 It also means that we can source a huge range of flowers, plants, containers and accessories to bring our clients something that stands out from the crowd. 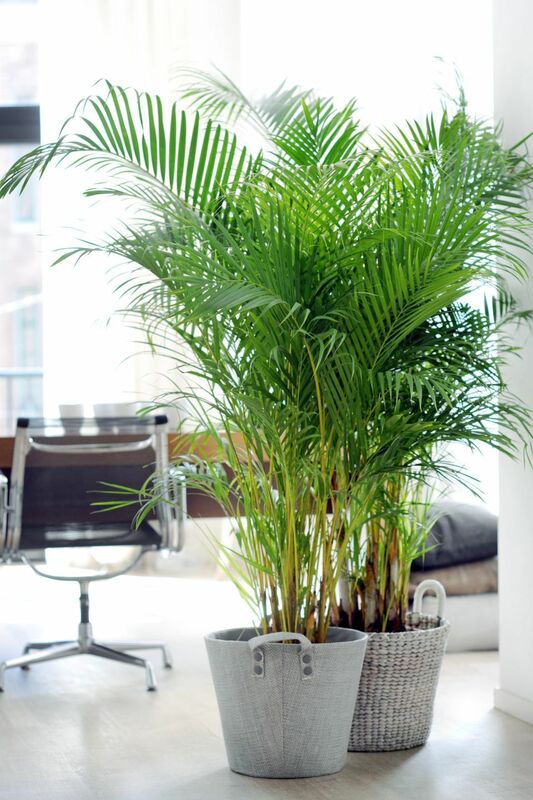 Once you approve any initial creative ideas, we’ll structure a regular maintenance programme that suits your needs and ensures that your flowers and plants are always in immaculate condition. All our displays and arrangements are delivered, installed and maintained by a trained, experienced Gardenia of London florist. We don't use couriers and we personally oversee every installation. We take a huge amount of pride in our work so will always check that the displays meet your brief and are up to the standard you expect - but if you have any concerns, your account manager is only a phone call away. With a unique approach to service, guaranteed quality and freshness, quarterly rebates and staff discounts on Gardenia of London products, we go beyond the expectation of a traditional corporate flowers contract. With access to the largest direct growers' network in Holland, we know that our flowers go from ground to display within hours - enabling us to deliver the best possible freshness and quality for exquisite, long-lasting displays. 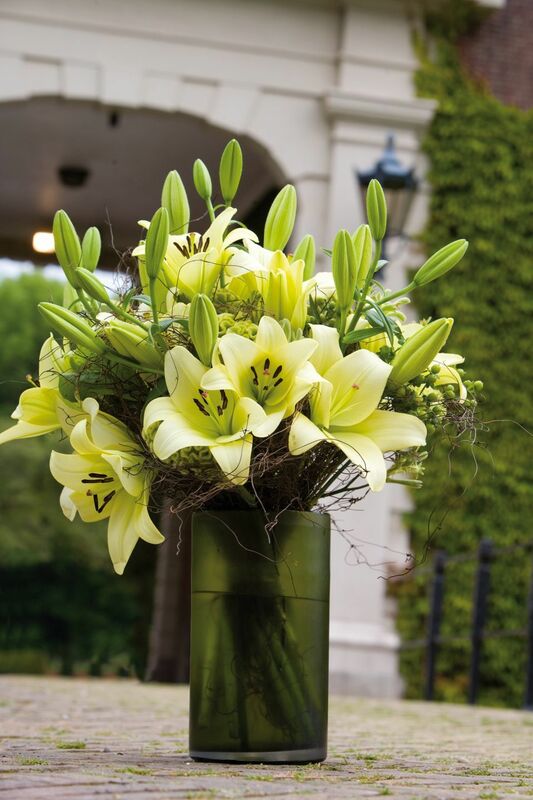 With 20 years' experience, three shops in South West London and an online flower delivery service, Gardenia of London is one of South West London's most trusted and reliable floristry brands. 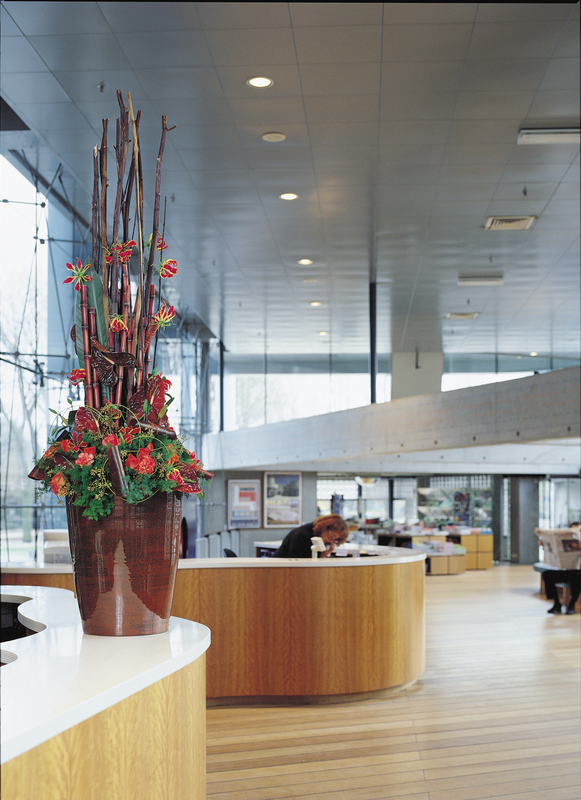 From stylish Reception desk displays to detailed event design, Gardenia provides a full range of floristry services. As a finishing touch, we offer contract flower clients and their staff a discount on any Gardenia of London product or service. That could be a single, hand-tied bouquet, a regular flowery delivery subscription from Bloomsbox or even wedding flowers. A Gardenia discount code is available to all staff for the duration of your Gardenia contract. It depends what you are looking for! Simple reception desk arrangements start at £25. We recommend that you arrange a consultation and explain your budget so that our florists can advise how to get the most value from your contract. If it’s related to flowers and plants, we can do most things. Have a look around this website for inspiration, or check out our Pinterest boards. If you have something specific in mind, let’s hear it! You can contact us on 020 8944 0942 or use the button at the top of this page to book a consultation. Contract flower services are usually paid on account. Your Gardenia account manager will explain the process to you once your contract and maintenance schedule has been agreed. We usually send you an invoice each month. Start with a chat with one of our experienced florists. Use the button at the top of this page to book a consultation, or call us on 020 8944 0942 to arrange a site visit. This is the best way for us to understand your requirements; we can also offer suggestions on the most effective displays for your space.